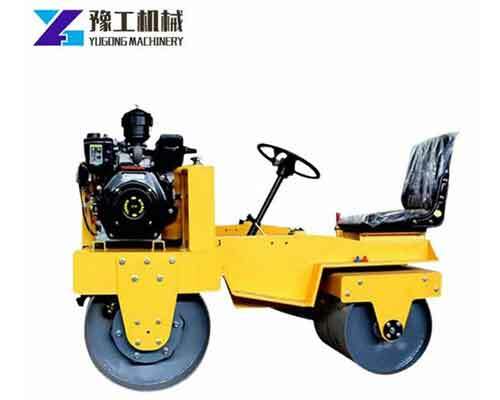 Mini road roller is a kind of road roller machine with small sizes, which can also be called pavement roller, asphalt roller for sale, paving roller, small asphalt roller, walk behind roller, mini road roller compactor. 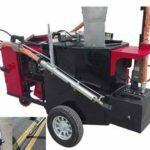 The machine belongs to road construction equipment and is suitable for compacting asphalt pavement, sidewalks, bridges, parking lots, sports venues and some other narrow compaction operations, especially for municipal departments to maintain, repair grooves, streets, square narrow belt. Meanwhile, it can also be used for personal use or for small areas of engineering and ground compaction. The most important is the application scope of the small road roller is more extensive and the price is much cheaper. As a professional manufacturer of various road machinery, mini road roller for sale with good quality and lower price in Henan Yugong Machinery Co.,Ltd will be your ideal choice. 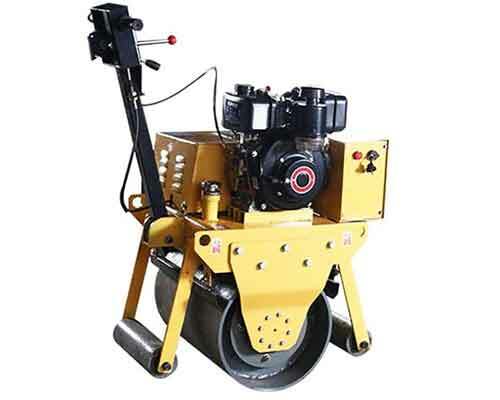 In general, road roller machine can divided into pneumatic tyre roller and steel wheel roller. But the roller machine produced by us are all tyred. 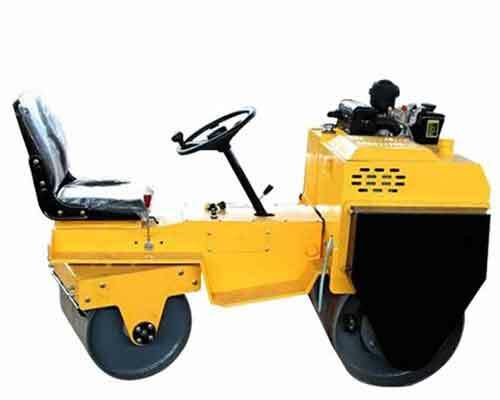 Mini road roller for sale in our company can usually divided into walk behind roller, which contains walking behind vibratory roller, walk behind road roller with single drum and double drums and seat driving road roller. In addition, different models use different engines, the diesel or gasoline engine. 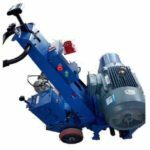 Here is an introduction to these different types of road roller machine and you can choose the suitable type according to your requirements. 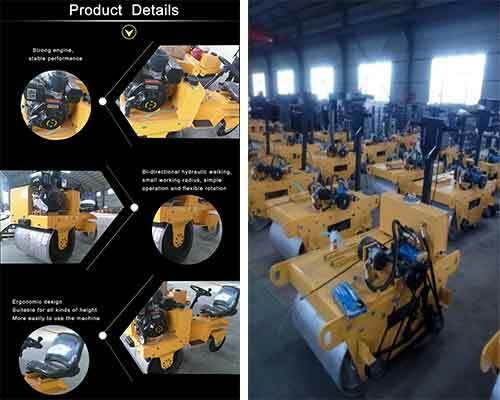 The walk behind roller, also known as the names, self propelled roller, hand road roller,hand pushed small road roller, walk behind vibratory roller, has the features of small size, compact structure, easy transportation, large working power and high efficiency. It can be used conjunction with large road roller machine. 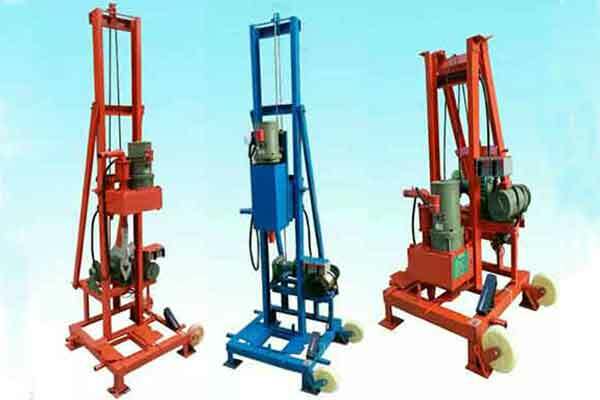 There are two kinds of walk behind roller for sale in Yugong Machinery, one has one drum and the other has two drums. The walk behind roller with single drum weighs 330kg. It can walk at a speed of 2.4km per hour and has 25 percent climbing power. And the tandem walk behind roller weighs 550kg, has 30 percent climbing power and can walk at a speed of 0-4km/h. In terms of engines, they both use a single-cylinder, air-cooled four-stroke engine. The single drum walk behind roller can use both gasoline engine and diesel engine, but the tandem walk behind road roller usually use the gasoline engine. 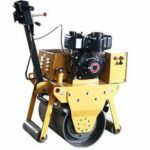 Small vibratory roller is a kind of mini road roller that use its own gravity and vibration to compact a variety of construction and road material. In road construction, vibratory road roller is most suitable for compacting all kinds of non-viscous soil,gravel, gravel mixture, asphalt and concrete. 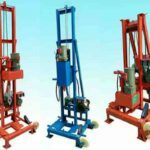 The working principle of vibratory roller is through the vibration of the vibrating drum to make it a reciprocating impact force on the laminated material, so as to produce shock wave in the layer material which can be diffused and propagated along the depth direction in the laminated material. 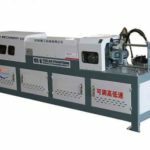 Then the particles of the laminated material can be changed from static state to dynamic state to achieve the purchase of compaction. Walk behind vibratory roller in our company can vibrate vertically and has great exciting force and high compaction efficiency. It can walk back and forth, use centrifugal clutch for vibration, can change speed continuously and directly control the magnitude of exciting force by pulling the throttle. 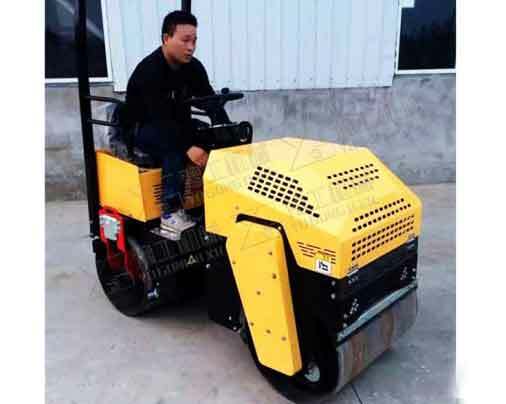 Compared with vibratory roller for sale with big size, it is very convenient to turn and can be said to be the ideal equipment for compacting the narrow sites. The tandem road roller is usually drive roller, which is a kind of small size vibratory roller for sale, so it can also be called tandem vibratory roller or double drum vibratory roller. Of course, you can also find the model YG-600D in our company which is a walk behind tandem roller and the price will be a little lower than the YG-850 model. However, if you want to purchase a more labor-saving and more working efficient mini road roller, you’d better buy the drive model. This kind of small road roller is very easy to operate, and can save the time and effort. Its machine uses a single cylinder, air-cooled 4-stroke diesel engine with the capacity of 3.6L. In addition, we also have a fully hydraulic road roller with seat driving which weighs 1000kg and the engine can be diesel engine or petrol engine. Whatever type of mini road roller you need, contact us for quotation. The single drum vibratory roller is hand-pushed,which is much cheaper than other types. 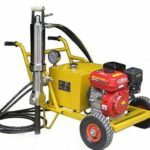 It is suitable for some small projects, narrow area operations, community roads, park trails, etc… The model is mainly used for some small road construction projects and the compaction of some corners of the road. In order to fit the height of different operators, our walk behind roller is designed with adjustable height handrail. And there are two control handles on the handrail that operators can easily control the machine. Send us email to tell us the model you need now and we will give you the best service. 1.The working radius is small and can work in a narrow area. This kind of road roller is designed to be very compact with structure as comprehensive as the big size road roller for sale. So it is very suitable for those narrow places where large pavement roller can’t reach. The most important is that the the small road roller is very easy to transport to many countries and regions around the world. 2.It has strong working force and high working efficiency, can be used with road roller with big size which is usually used for large engineering construction and ground compaction. However, there are some corners and narrow places they can’t get in. At this point, a small road roller with with the same compaction strength and more flexible action power is needed. 3.The extra large water tank can reduce the trouble of the water recharging back and forth, which increase the sustainable working time of the compaction equipment and greatly improve the working efficiency. 4.The handrail of the mini road roller adopts plane gear adjusting mechanism, which can be adjusted flexibly and conveniently according to needs. Then it cna be easily operated by workers of different height. In addition, it can be folded which is convenient for transportation and storage. 5.It is suitable for higher kerb clearance and smaller side clearance, especially for the compaction against walls and road rocks. 6.Surface spray which makes it look beautiful and rust-proof corrosion. Stratified compaction of cement stable layer in highway municipal maintenance and filling construction. The compaction of asphalt concrete at the edge and corner of a trench well. The compaction of the area that road roller can’t get in and work when pipe culvert, passageway, bridge abutment and other structures are backfilled in highway construction. The road laid of municipal landscape, residential community landscape, golf course construction and the paving and compaction of the sidewalk. It can also flexibly and efficiently complete the compaction of some other construction areas that are narrow and sensitive to the weight of the compaction equipment. 1.The tonnage of the road roller. 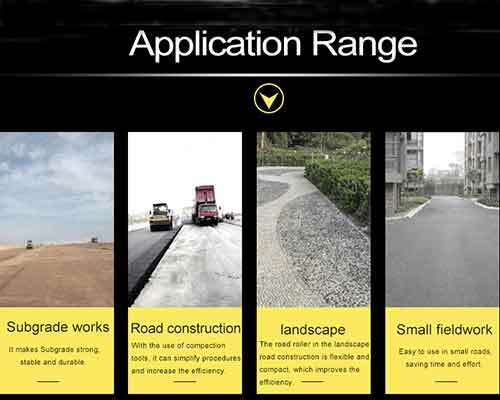 First, You can choose the suitable paving roller according to the size and duration of the project. 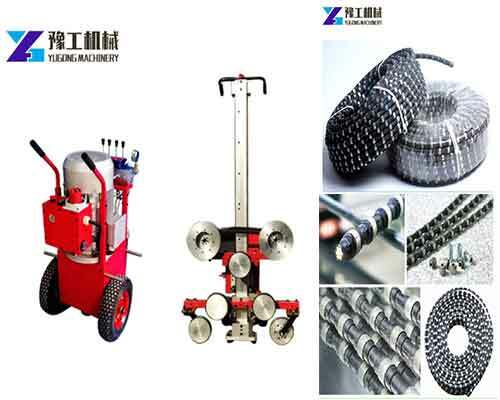 Second, you should pick up the weight, amplitude and vibration frequency of the compaction machinery depends on the thickness of mixture spread when crushing the asphalt concrete pavement. 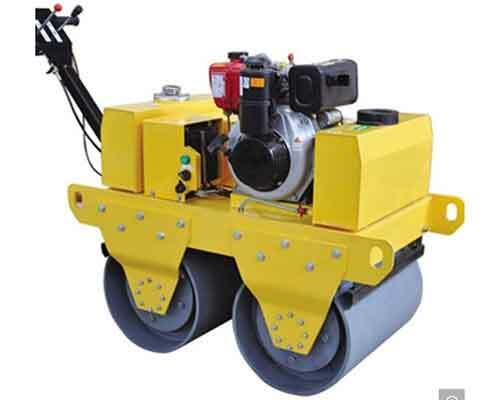 2.Choose the suitable mini road roller for sale according to the layer thickness. Generally, it’s much better to use a mini vibratory roller with an amplitude of 0.35 to 0.60mm, weighs of 2 to 6 tons when the layer thickness is less than 60mm, so as to avoid the phenomenon of heap, wave and damage to aggregate. For the thick layer with the thickness over 100mm, the vibratory roller for sale with large amplitude that can be up to 1mm and the weighs of 6-10 tons will be more suitable. At the same time, in order to prevent the asphalt mixture from being too cold, it should be rolled immediately after the spread. 3.Choose depends on the highway type or grade. Of course,you can also pick up the corresponding road roller for sale depends on the type of material being pressed. And if you don’t have any idea about which type to choose, please kindly tell me more about your requirements and your uses, then we will recommend you the most suitable model in accordance with your needs. 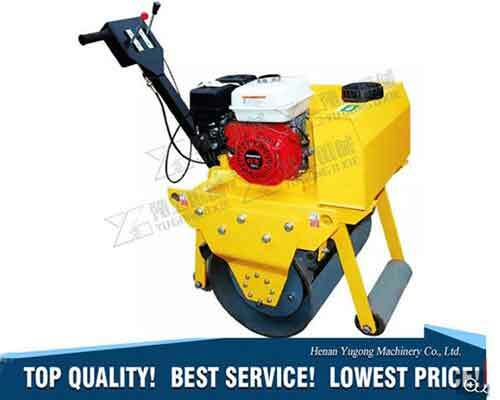 Henan Yugong Machinery is a top and professional manufacturer of various road machinery, such as, road marking machine for sale, shot blaster for sale, concrete scarifier machine, etc… We have specialized in the production of machinery for more than twenty years. We devoted in research and development, production and sales of road, bridge, mining and tunnel construction equipment and some other machinery. We always adhere to the principle of quality first, customers first, service first, safety first. It’s because of our persistence and work philosophy that our machinery are not only welcomed in China but also exported to many countries and regions around the world. So if are interested in our mini road roller,please feel free to contact us for more details. We are looking forward to cooperating with you. As a manufacturer, all the machinery in our factory are sold directly by ourselves. 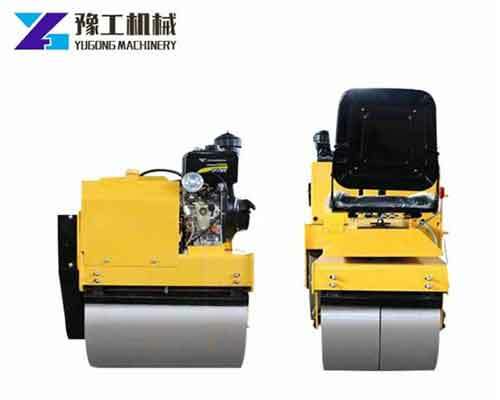 Without the third party raises the price in the middle, the mini road roller price in Yugong Machinery is very reasonable and competitive. At the same time, quality is what we insist on in the first place. So if you need to purchase mini road roller or some other bridges, tunnel and road machinery. Please don’t hesitate to contact us for more details, we will reply you as soon as we can.